Bust out your mix tapes and dust off those Walkmans: Cassette tapes are having a comeback. 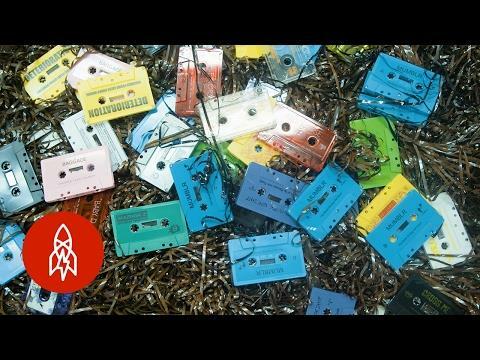 National Audio Company—the last cassette factory in the U.S.—is ready for the renewed demand. Cranking out analog audio tapes since 1969, the company boasted its best year ever in 2015, and sales are only climbing. SUBSCRIBE: https://goo.gl/vR6Acb Follow us behind the scenes on Instagram: http://goo.gl/2KABeX Make our acquaintance on Facebook: http://goo.gl/Vn0XIZ Give us a shout on Twitter: http://goo.gl/sY1GLY Come hang with us on Vimeo: http://goo.gl/T0OzjV Visit our world directly: http://www.greatbigstory.com This story is a part of our Human Condition series. Come along and let us connect you to some of the most peculiar, stirring, extraordinary, and distinctive people in the world. Great Big Story is a video network dedicated to the untold, overlooked & flat-out amazing. Humans are capable of incredible things & we're here to tell their stories. When a rocket lands in your backyard, you get in.